ONE of Australia’s leading Brazilian music ensembles will bring some Latin rhythm to Minya Winery’s Minya by Moonlight series this Saturday. Panorama Brasil have presented sold-out shows across Australia, featuring the beautiful music of Brazil, from Rio’s bossa nova and samba, to folkloric music from Brazil’s north-east and beyond. Jacqueline Gawler joins the band for the concert. Known for her work with groups such as Coco’s Lunch and Stoneflower, Jacqueline has lived in Brazil, and is one of Australia’s finest interpreters of Brazilian song. Panorama Brasil released their second album, ‘Flor de Pedra’ in 2015. It showcases the vocal talents of Jacqueline Gawler and Diana Clark, as well as the sublime guitar of Doug de Vries. Featuring classic sambas and bossa nova, as well as exciting rhythms from Brazil’s north-east, such as the maracatu and frevo, Flor de Pedra is tour through Brazil’s amazing rhythmic landscape. Drummer and composer Alastair Kerr is a long-time student of Brazilian music, and recognised as one of Australia’s leading exponents of Brazilian percussion. Alistair is known for his work with groups such as The Doug de Vries Trio, The New Sheiks and Sexteto Zona Sul, and leads this stellar group focusing on Brazilian music and new compositions. 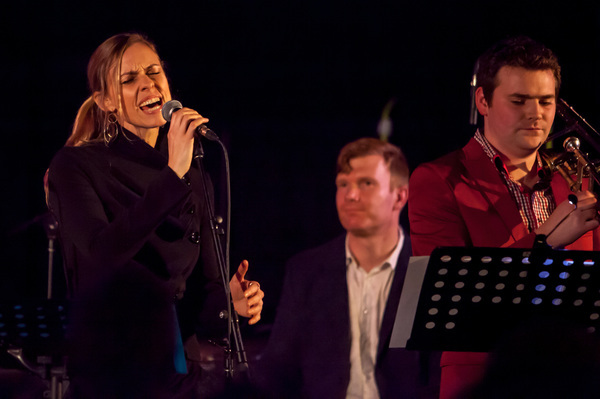 At the 2015 Adelaide Cabaret Festival the group presented Jobim, a tribute to the genius behind some of bossa nova’s greatest songs, Antonio Carlos Jobim. For these performances, Panorama Brasil were joined by Australian jazz legend Vince Jones, Brazilian chanteuse Alda Rezende and the internationally acclaimed guitarist, Doug de Vries. Panorama Brasil’s debut album, The Archer and the Dancer, composed by Alastair Kerr, was released in 2013. It brings the aesthetic of Brazilian rhythms – exciting, multi-layered and diverse – to contemporary Australian jazz. Mischievous and improvised, rhythmic and beautiful, The Archer and the Dancer premiered at the Melbourne Recital Centre as part of the 2013 Melbourne International Jazz Festival, and was nominated for a 2014 Australian Jazz Bell Award. 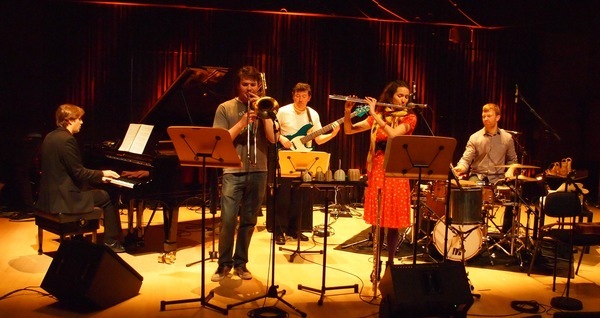 Panorama Brasil features Alastair Kerr – drums, Asha Henfry – flute/percussion, Alistair Parsons – trombone/percussion, Matt Boden – piano, Jorge Albuquerque – bass and Jacqueline Gawler – vocals. Panorama Brasil plays at Minya Winery this Saturday 20 February, starting at 7.30pm.